Get ready to blast off on an exciting hands-on space adventureNow kids can take a tour of the cosmos without ever leaving their own backyards. 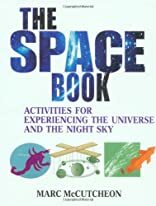 With The Space Book in hand, they can journey to the moon and far beyond, exploring planets and asteroids, and learning about everything from the big bang and the beginning of time to quasars, comets, and other galaxies. 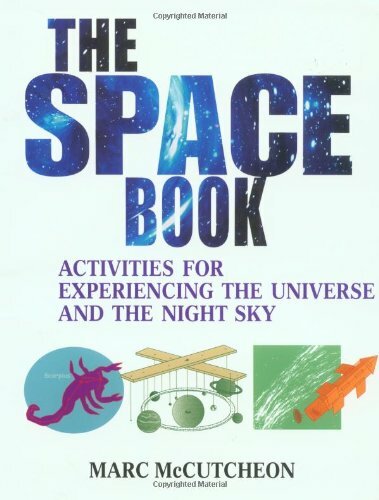 Filled with exciting projects and observing activities, this action-packed guide gives kids a chance to investigate the outer reaches of the universe while they have a great time building their own rockets, creating pepper planets, demonstrating the greenhouse effect, and much, much more. All the activities can be done with materials that are safe, inexpensive, and easily found around the house. Marc McCutcheon (South Portland, ME) is a journalist, author, and amateur scientist. He has written for Omni and Science Digest as well as several books, including the bestselling The Compass in Your Nose and Other Astonishing Facts about Your Body.